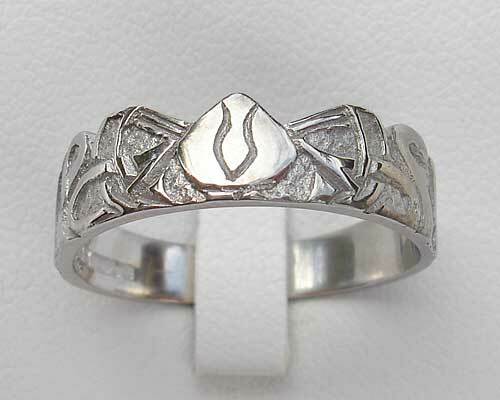 Three Nornes Silver Celtic Ring : LOVE2HAVE in the UK! Here we have a Three Nornes silver Celtic ring inspired by Norse mythology. The ring shown here is in sterling silver and is approximately 6mm wide. Scotland is very famous for its mythology, and this silver ring perfectly conveys this concept with its handcrafted outer patterning. The story goes that Three Nornes (or fates) became swans. The swans were ladies who could change into Swans. Their names were Urd, Verdandi and Skuld, representing the past, present and future. 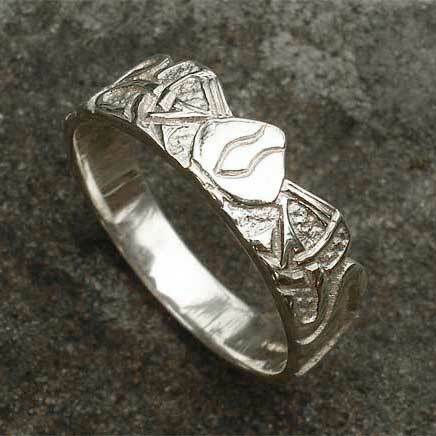 Returns Policy: You may return this Scottish made silver Celtic ring if it is not to your satisfaction as long as it is not engraved. Please see our terms and conditions.